Having a swimming pool in your backyard can be so exhilarating. It is the spot in a house where we can chill off while enjoying the summer air. Perhaps it is also safe to say that a pool is an icon of a healthy family. One of the most important or even a mandatory thing when you have built a pool is ensuring its safety. The pool should be well kept to prevent any unwanted accidents. The U.S. Consumer Product Safety Commission (CPSC) even stated that accidental drowning in a houses’ pools is the first cause of death for children under 14 years old, it beats down the car accident and severe diseases. So securing the pool area is absolutely a serious matter. One of the important parts of pool security is pool fence. According to CPSC, a pool fence is the first layer of pool security which has to be installed by all pool owners. There are some requirements that you have to know when you install a pool fence. The proper height of the fence, for instance, should be at least 4 feet, it is safe enough to protect children and pets. The design of the fence should completely secure the whole area of the pool. 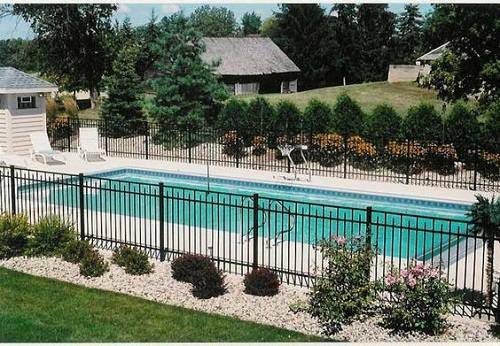 The sturdiness of the fence is also a crucial consideration, the fence should be strong enough to secure the pool area. 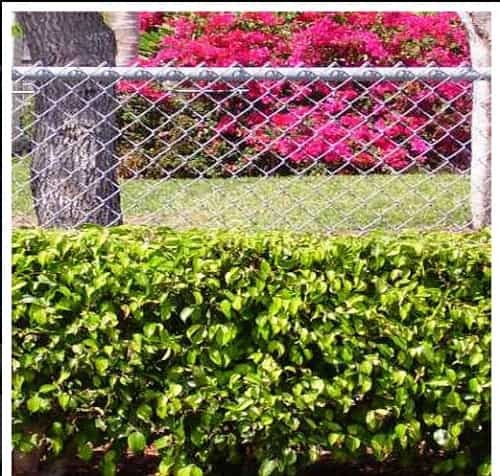 So picking the right fence material which can provide you a piece of mind is your first job when you are looking for a pool fence. There re various materials that you can find in the market, with their own advantages and disadvantages. Wrought iron is undeniably the strongest material when it comes to fencing. 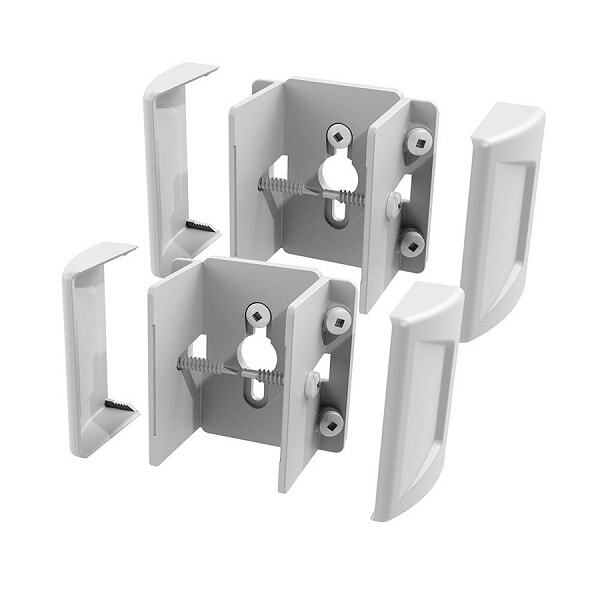 It is durable to face severe weather conditions, and the structure is almost unbreakable. 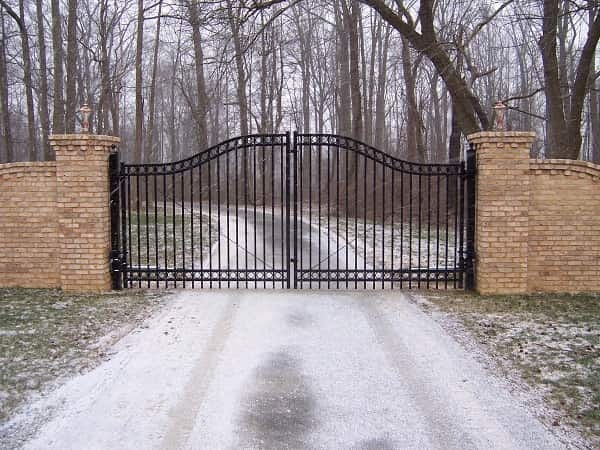 The designs of wrought iron fences are also various, which can beautify any backyard’s style. Here we have some elegant and gorgeous wrought iron pool fence ideas which can be your inspiration before installing a new one. Let’s check them out! 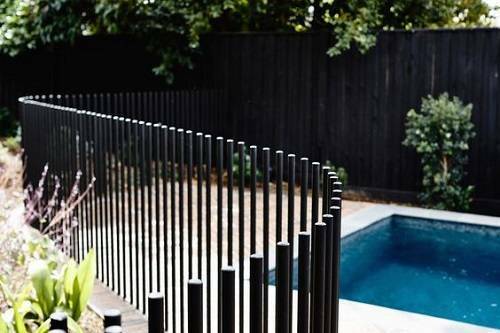 Heron is one of the most popular fence styles which is used to secure the pool area. 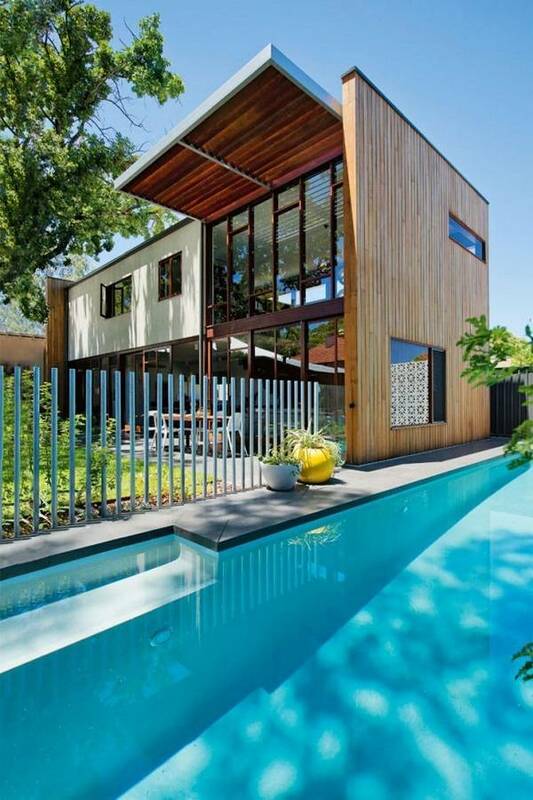 This fence style looks simple and modern, and in this pool fence design, wood is used for the posts. The combination of iron fence and wood post makes the fence looks modern and natural at the same time. 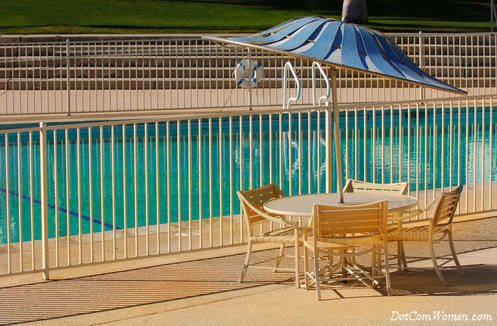 Another most adored pool fence style is bunting, it has two rails on top of the panel. 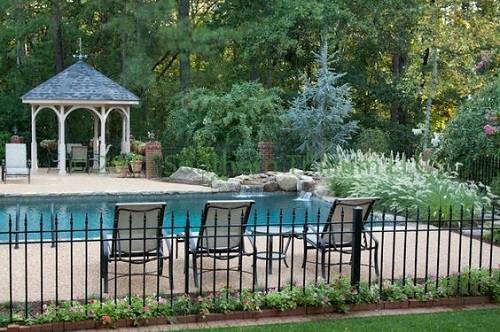 The use of rustic brick posts of this bunting fence style gives such a classic and royal look to your pool area. The use of the gray brick base in this iron fence enhances the sturdy appearance of the fence. 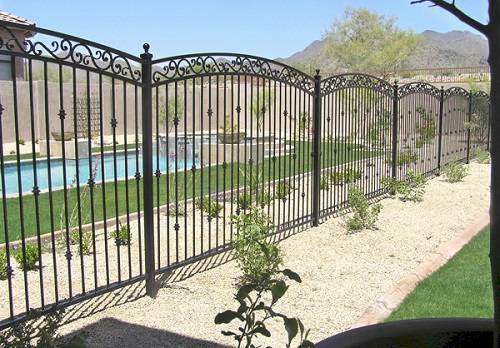 This is an elegant and luxurious pool fence which provides great security. 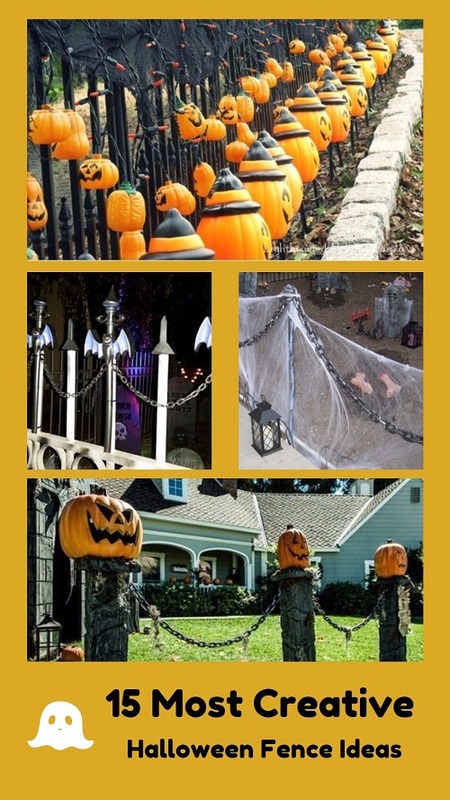 The decorative iron fence is such a traditional and everlasting style of a fence. This kind of fence never fails to beautify the style of your property just like this one. 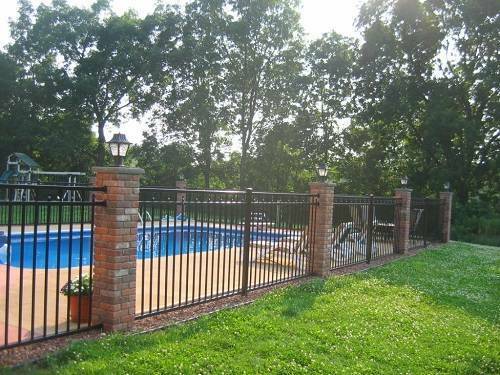 The classic decorative iron fence with arched top is chosen to secure the pool area. It truly enhances the style of this outdoor space. The choice of white color of this heron fence looks very adorable. It matches beautifully with the pastel style of the pool area and furniture. 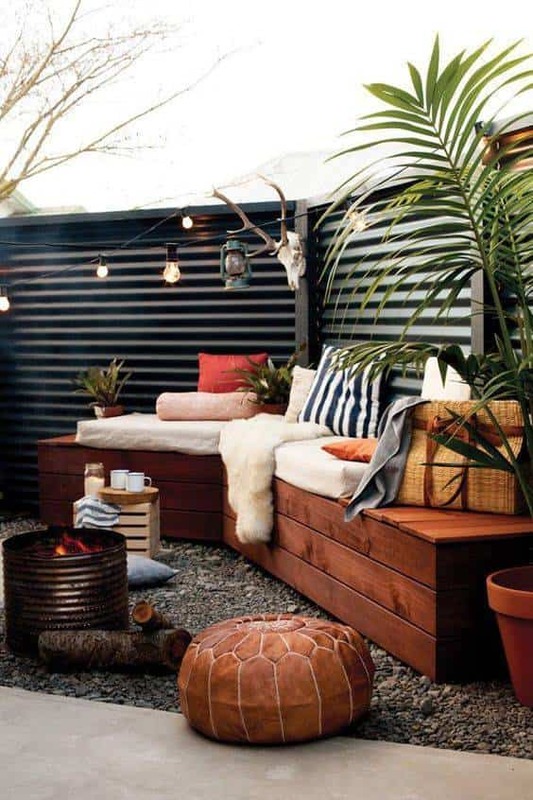 You can try this gorgeous outdoor space style which doesn’t cost really much. 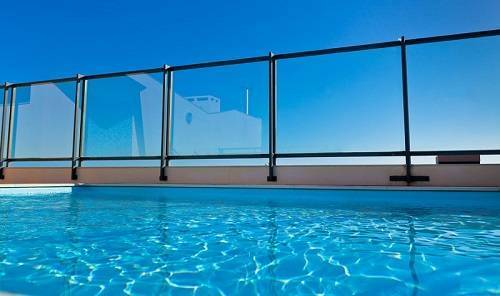 Nowadays, glass fence is adored by many homeowners to secure their pool area. It looks very dazzling and totally enhances the home’s value. 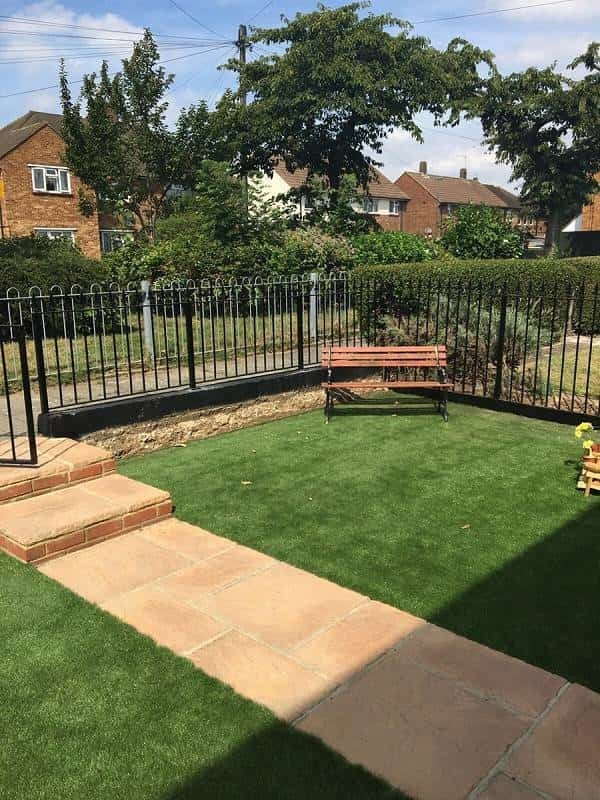 In this fence design, wrought iron is used for the frames and posts to ensure its safety. 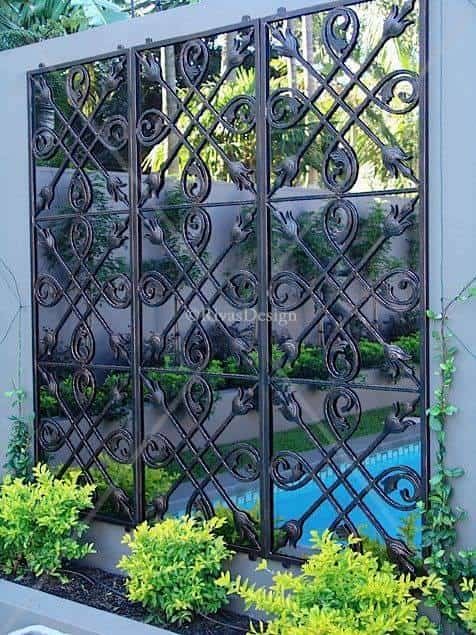 This decorative iron fence is surely attractive with its circular design. 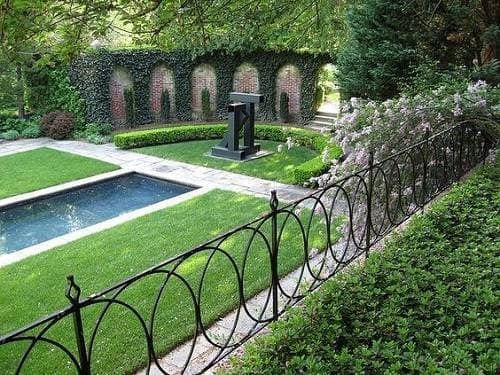 The fence is combined with thick bushes to provide better privacy when you spend the times around the pool area. The design creates such a contemporary victorian touch to the surrounding. Choosing the siskin style for the iron fence is never a bad idea. 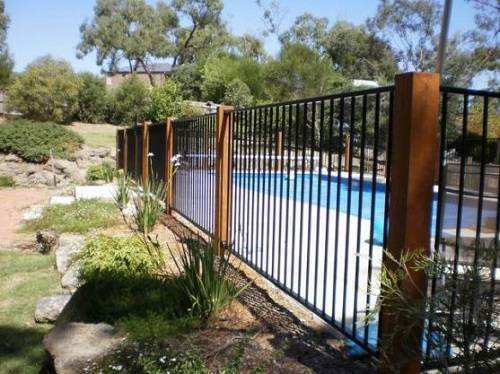 The simple and elegant design of this fence is trusted to fully secure the pool area. 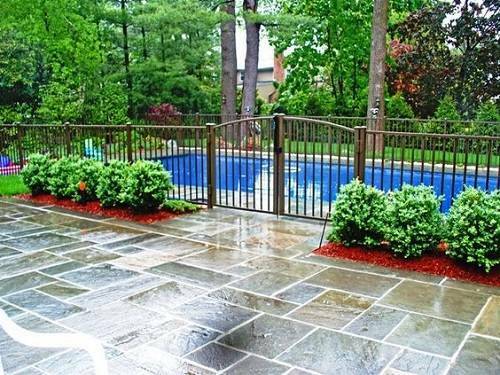 Combining the black iron gate with gray gravels or sand always create a stunning look to the pool area. 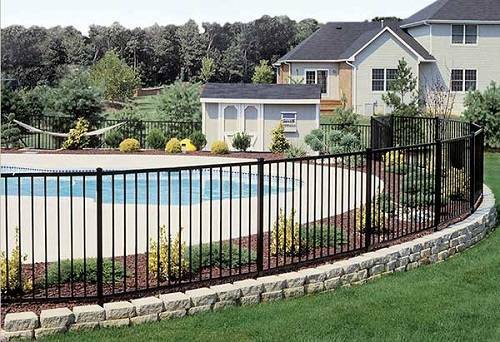 The last wrought iron pool fence ideas is the one which is beautified with the frame. This fence design looks very luxurious and glamorous. Choosing this one will surely amaze all the coming guests. 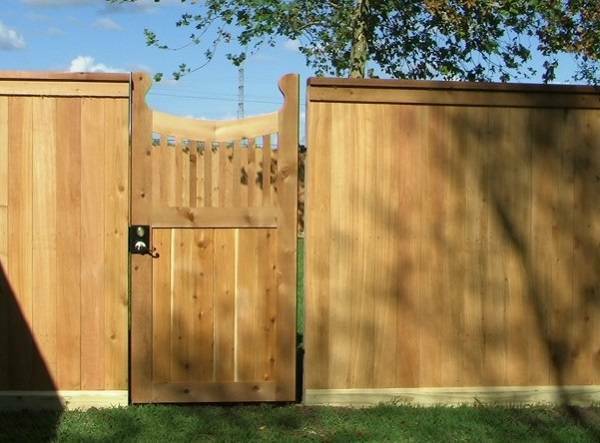 If you are asking what is the latest fence design today, the free-standing style will be one of the best answers. The fence just uses some iron pickets without any rails or frames. 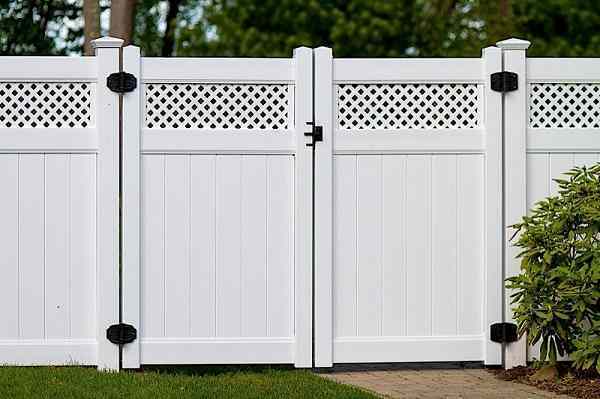 By choosing this fence design, you will be the most up to date homeowner around your neighborhood. 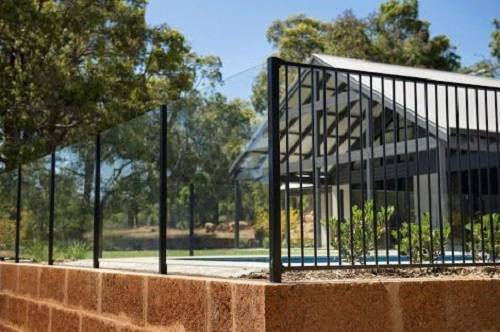 This fence design combines iron fence in heron style with the glass panels with iron posts. It is such a smart combination which creates an elegant and modern look to the pool area. The use of the rustic brick wall as the base also adds a natural sense to the fence. The brown color of this iron fence matches beautifully with the natural surrounding around the pool area. The arched top gate makes the design looks more classic and of course adorable. 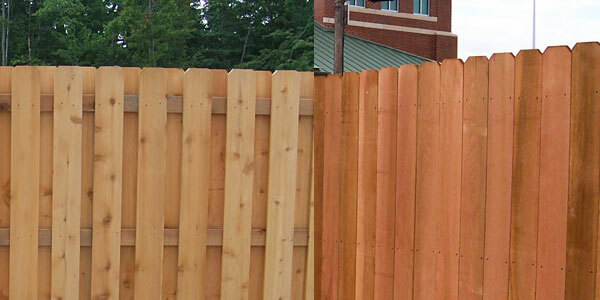 This is another fence design which adapts the free standing style, and the finish makes it look like a wood fence. 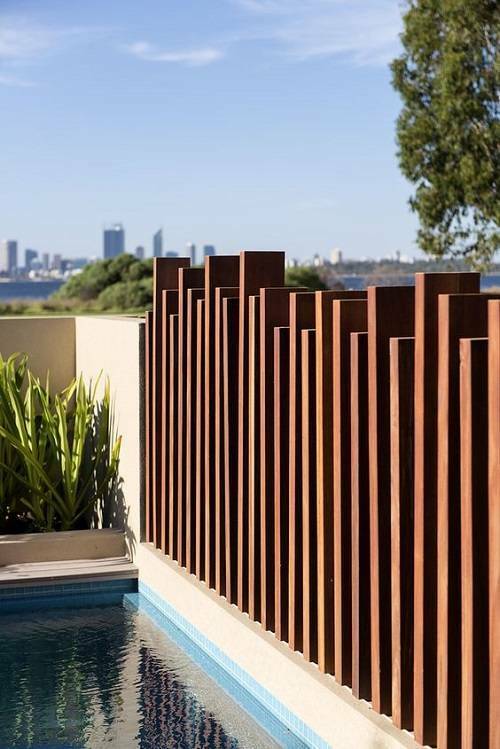 The random height of the iron slats creates such a modern and attractive nuance to the pool area. 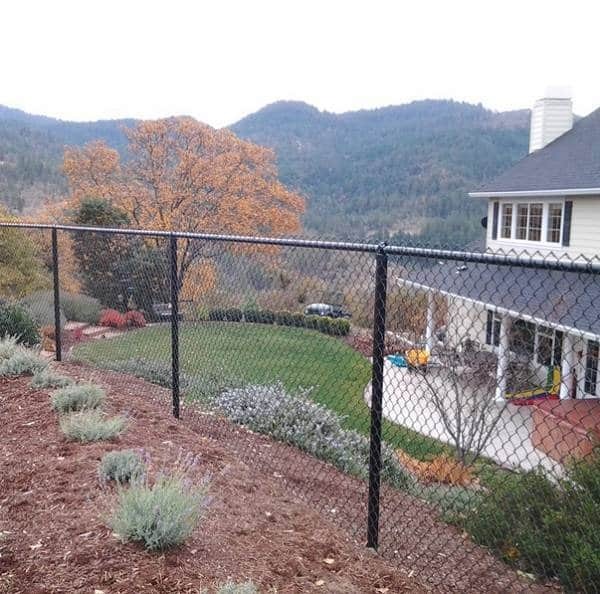 The short iron fence which adapts the longspur style is chosen to secure this pool area. It is a good choice to provide clear and wide visibility around the pool area. 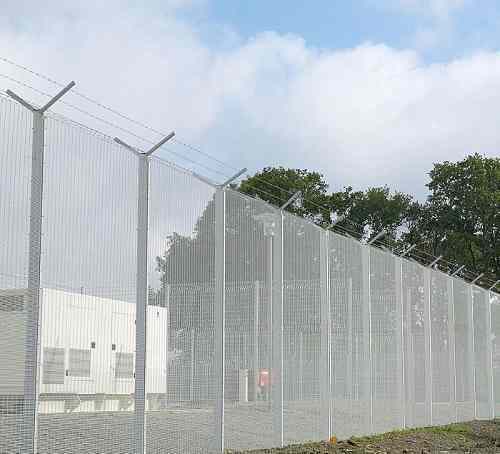 Keep in mind that not all of those fences are good for security and safety purposes. Some fences are just meant to decorate the pool area and work best as the second layer of security.